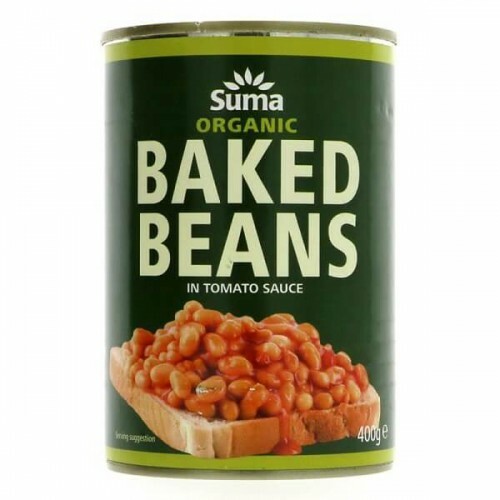 All-organic baked beans, with haricot beans in an organic tomato sauce. These beans are very tasty, using tomatoes and fresh onions for flavour rather than herbs or spices. Irresistible on toast, compulsory with egg and chips and a good year round staple. Haricot beans* (45%), tomatoes* (30%), water, sugar*, onion*, sunflower oil*, maize starch*, salt, black pepper*, ascorbic acid.